Going back to our example of combining average price and average volume, we now must define every aspect of the concept and create a method of expressing this relationship objectively. 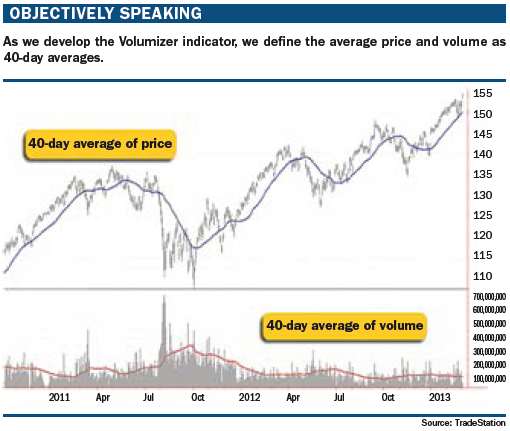 First, we define the average price and volume as 40-day averages (see “Objectively speaking,” below). Now that this relationship has been defined, we can continue the process of converting the concept into a custom indicator that can be applied to a price chart.